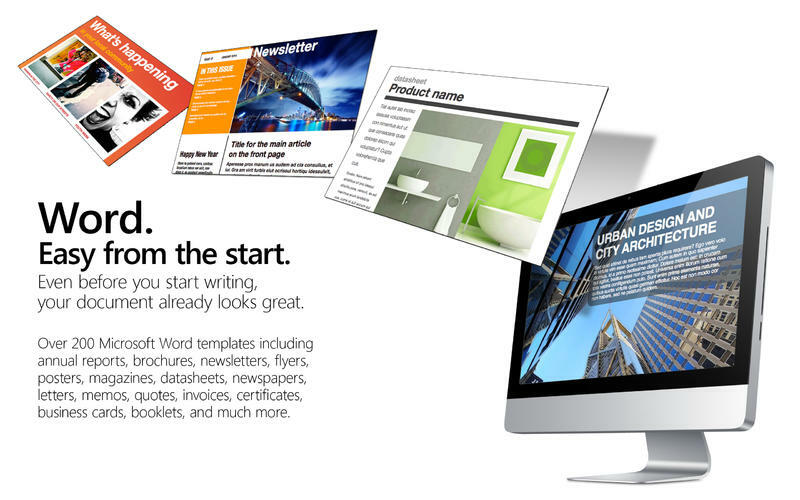 Get the tools to create great-looking Word documents. Quickly browse through the template categories, from annual reports and magazines, newspapers and datasheets, business cards and letterhead, calendars and greeting cards, resumes, cover letters, photo albums, and much more. With 250 professionally designed templates to choose from, your next flyer, newsletter, report or poster is ready to start. Even before you start writing, your document already looks great. Start planning, get organized, and keep on top of your business, home and personal life with smart Excel spreadsheets. You'll find everything from business finance and planning, calculators, sales analysis tools, personal management and planners, checklists, calendars, and much more. These templates are easy to use, the hard stuff—calculations, functions, and formulas—is already there. Being organized has never been this easy. 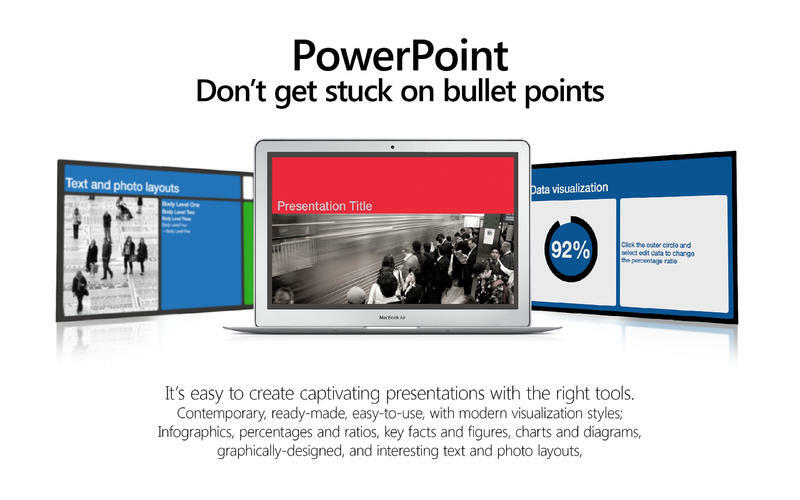 It's easy to create captivating PowerPoint presentations. Keep your audience entertained and engaged, with smart transition and animation presets. You’ll find half the works already done, with built-in infographics, 3D charts, percentages and ratios, key facts and figures, interactive maps, and interesting text, bullets and photo layouts. 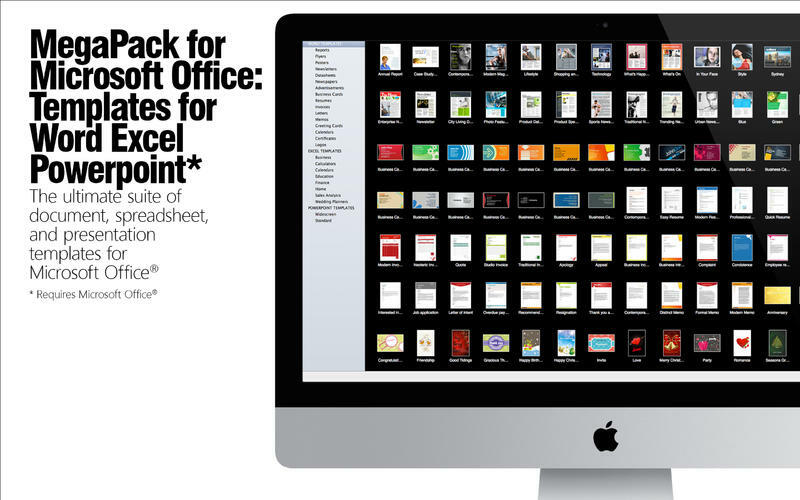 Microsoft Office® is required to use this app. Templates can be edited in their respective Office application (Word, Excel, or PowerPoint) and are optimized for Office 2011. Please note PowerPoint templates require users to save the file locally before editing. Fixed compatibility problems reported by some users.